The Seasons, Op. 37a (also seen as Op. 37b; Russian: Времена года; published with the French title Les Saisons), is a set of twelve short character pieces for solo piano by the Russian composer Pyotr Ilyich Tchaikovsky. Each piece is the characteristic of a different month of the year in Russia. The work is also sometimes heard in orchestral and other arrangements by other hands. Individual excerpts have always been popular – Troika (November) was a favourite encore of Sergei Rachmaninoff, and Barcarolle (June) was enormously popular and appeared in numerous arrangements (for orchestra, violin, cello, clarinet, harmonium, guitar and even mandolin). 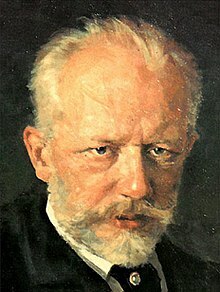 The Seasons was commenced shortly after the premiere of Tchaikovsky's First Piano Concerto, and continued while he was completing his first ballet, Swan Lake. In 1875, Nikolay Matveyevich Bernard, the editor of the St. Petersburg music magazine Nouvellist, commissioned Tchaikovsky to write 12 short piano pieces, one for each month of the year. Bernard suggested a subtitle for each month's piece. Tchaikovsky accepted the commission and all of Bernard's subtitles, and in the December 1875 edition of the magazine, readers were promised a new Tchaikovsky piece each month throughout 1876. The January and February pieces were written in late 1875 and sent to Bernard in December, with a request for some feedback as to whether they were suitable, and if not, Tchaikovsky would rewrite February and ensure the remainder were in the style Bernard was after. March, April and May appear to have been composed separately; however the remaining seven pieces were all composed at the same time and written in the same copybook, and evidence suggests they were written between 22 April and 27 May. The orchestration of Swan Lake was finished by 22 April, leaving the composer free to focus on other music; and he left for abroad at the end of May. This seems to put the lie to Nikolay Kashkin's published version of events, which was that each month the composer would sit down to write a single piece, but only after being reminded to do so by his valet. The epigraphs that appeared on publication of the pieces were chosen by Bernard, not by Tchaikovsky. In 1886 the publisher P. Jurgenson acquired the rights to The Seasons and the piece has been reprinted many times. Tchaikovsky did not devote his most serious compositional efforts to these pieces; they were composed to order, and they were a way of supplementing his income. He saw the writing of music to a commission as just as valid as writing music from his own inner inspiration; however, for the former he needed a definite plot or text, a time limit, and the promise of payment at the end. Most of the pieces were in simple ABA form, but each contains a minor melodic masterpiece. A number of musicians have orchestrated Tchaikovsky's pieces. Aleksandr Gauk arranged The Seasons for symphony orchestra in 1942. In 2011 Sergei Abir created a new orchestra version. Morton Gould retained the piano part for many of the pieces and orchestrated the work throughout, recording it with himself at the piano in 1951 for American Columbia. In 1965, Kurt-Heinz Stolze orchestrated a number of the pieces as part of the music for John Cranko's ballet Onegin. More recent orchestral versions have been produced by David Matthews (for symphony orchestra), Peter Breiner (for solo violin and symphony orchestra), and Georgii Cherkin (for solo piano and symphony orchestra). French composer Philippe Sarde arranged the Barcarolle as a main theme for the 1988 movie The Bear. Slava and Leonard Grigoryan play an arrangement of The Pieces for two guitars, which was arranged by their father Eduard Grigoryan. and the candle has burned out. soon a large feast will overflow. and near it the last snowdrops. and first dreams of another happiness. What a night! What bliss all about! I thank my native north country! how fresh and clean May flies in! the stars will shine down on us. people in families cutting the tall rye down to the root! music screeching all night from the hauling carts. It is time! The horns are sounding! in early dawn the borzois are jumping. the yellowed leaves are flying in the wind. and do not rush out after the troika. the fear of longing in your heart. and throwing them out of the gate. Some of these miniatures reveal the strong influence of Robert Schumann. Even the title By the Fireside (Am Kamin) had been used by Schumann in his Kinderszenen of 1838. The openings of both pieces show a certain kinship in their declamative narration, but rhythm and articulation in Tchaikovsky’s declamation show a marked Slavic tinge, lending it a greater epic breadth. In Tchaikovsky there is a rather strange rhythmic displacement of the strong beat and we will certainly perceive the downbeat as an upbeat. But the third beat is equally strong, suggesting a certain exaggerated speech pattern used to give the narration an air of expressive significance. Felix Mendelssohn's Venetian Gondola Songs from his Songs Without Words come to mind when listening to Tchaikovsky's Barcarolle, but whereas Mendelssohn places a relatively simple single voice line over an "undulating" accompaniment, Tchaikovsky puts more emphasis on polyphonic thematic development over a contrapuntal accompaniment. Barcarolle and Troika are the most often-heard pieces from the set. In Troïka one can hear the jingling sleigh-bells in the right hand. Where Tchaikovsky came from, this was very Russian. "Troika" is also considered the most challenging piece out of Tchaikovsky's very own selection of The Seasons because of such a rapidly moving melodic flow, a few "outbursts" to forte, and it also expresses a somewhat complicating technique, which delivers a strong variety of feelings to the interpreters and listeners of "Troika" as shown in the music sheets in the book "Tchaikovsky The Seasons Opus 37bis", which was edited and recorded by Alexandre Dossin. Troika has become famous in the interpretation of Sergei Rachmaninoff, which has been adopted by Russian pianists as the "standard" model interpretation. Less known are October and December. The elegiac Song of the Autumn and the elegant characteristic salon waltz Christmas could be music right out of Tchaikovsky's operas or ballets respectively. Once upon a time The Seasons enjoyed enormous popularity. Only recently have they been rediscovered by pianists. In recent years, Yakov Kasman has made a notable recording of the suite. This page was last edited on 1 February 2019, at 22:57 (UTC).